SALE! now $275, originally $350. 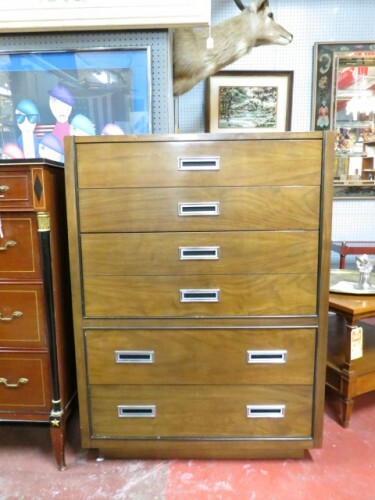 Vintage mid century modern American of Martinsville walnut chest/dresser. 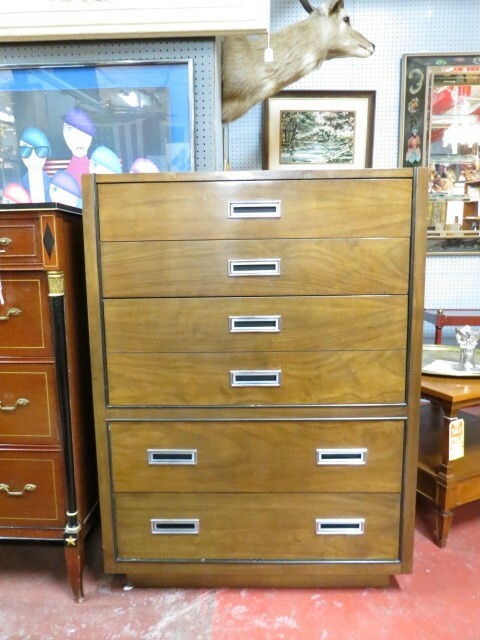 Six drawer walnut chest by American of Martinsville. American of Martinsville has a reputation for styling and design leadership, offering well-made furniture for throughout the home. Original chrome hardware. 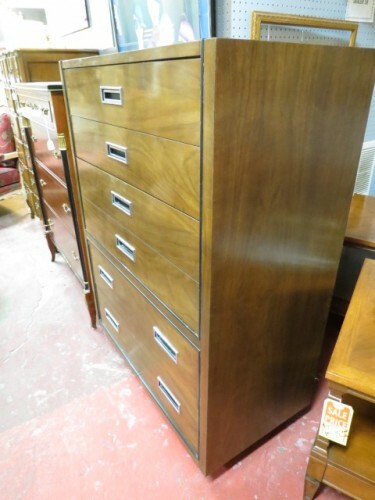 Drawers outlined in black wood trim. 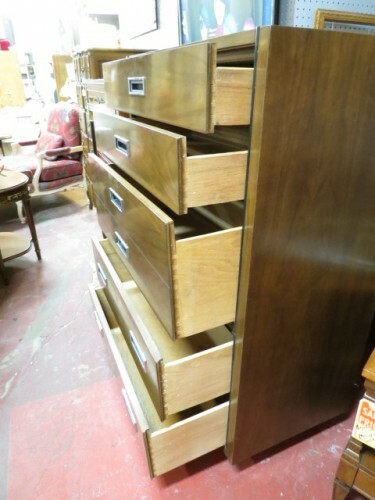 Lots of storage for your bedroom! Excellent condition. Measures 49” tall, 36” across, and 19” deep.